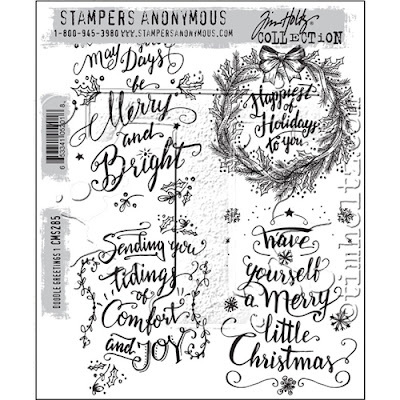 I'm here today sharing another easy Christmas card using the new Stampers Anonymous stamp sets Doodle Greeting #1 and Stripes and Holiday Type. I have cut a piece of Distress Watercolor cardstock to work on. I love the Distress Watercolor cardstock because it is so thick. I takes repeated wet mediums and yet yet maintains its rigidity. Perfect for this technique. 1. Use Archival Ink to stamp the image onto the card front. 2. Create a palette on the Craft Sheet of Peeled Paint, Fired Brick and Pine Needles. Add spritz of water from the Distress Sprayer and pick up the ink using a Detailer Water Brush. 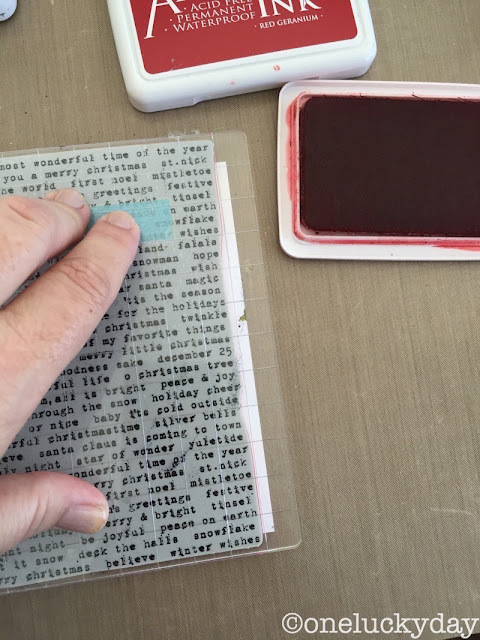 Color in the image and let dry. 3. 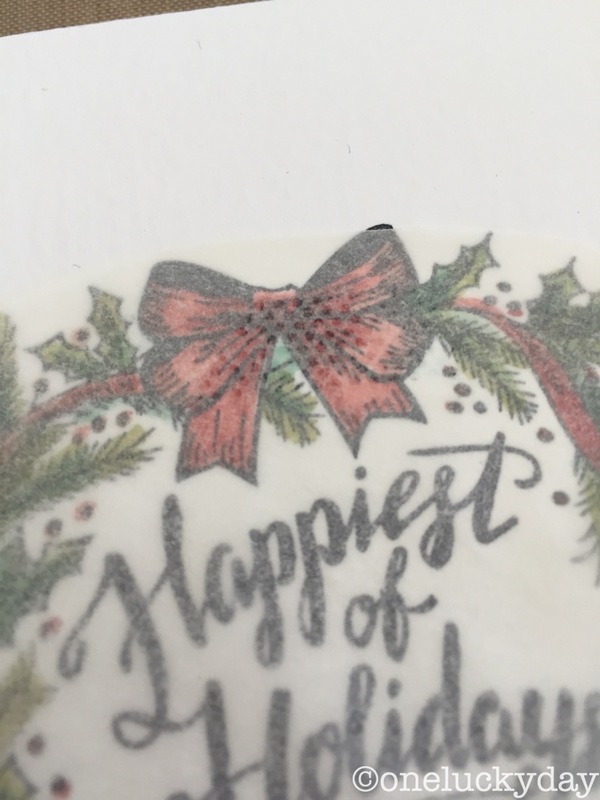 Cut a piece of tracing paper (I like it because it is so thin) in a circle to completely cover the stamped image. 4. Add removable tape to the back to keep in position. 5. 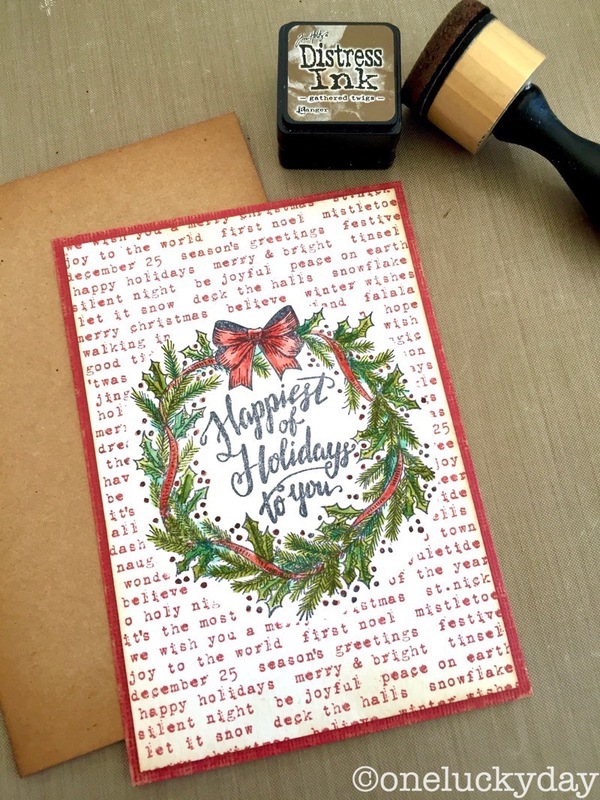 Stamp over card front with Holiday Type in Red Geranium Archival Ink. 6. 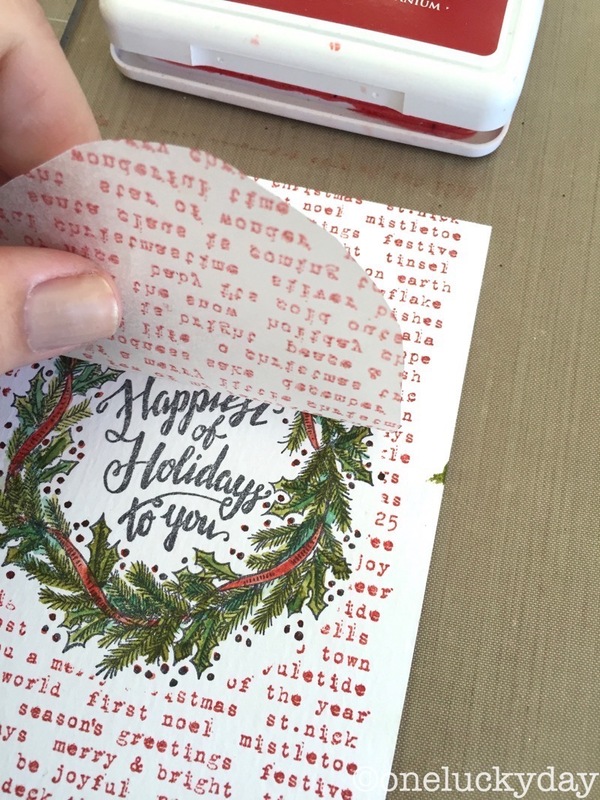 Peel off the mask paper. 7. 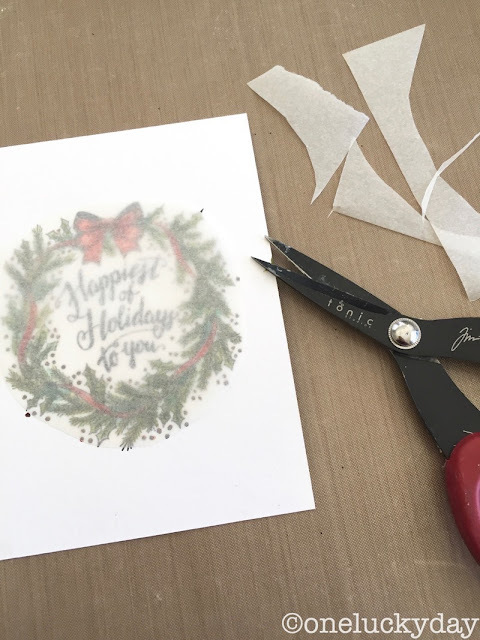 Cut card to size and lightly ink the edges with Distress Ink Gathered Twigs. 8. 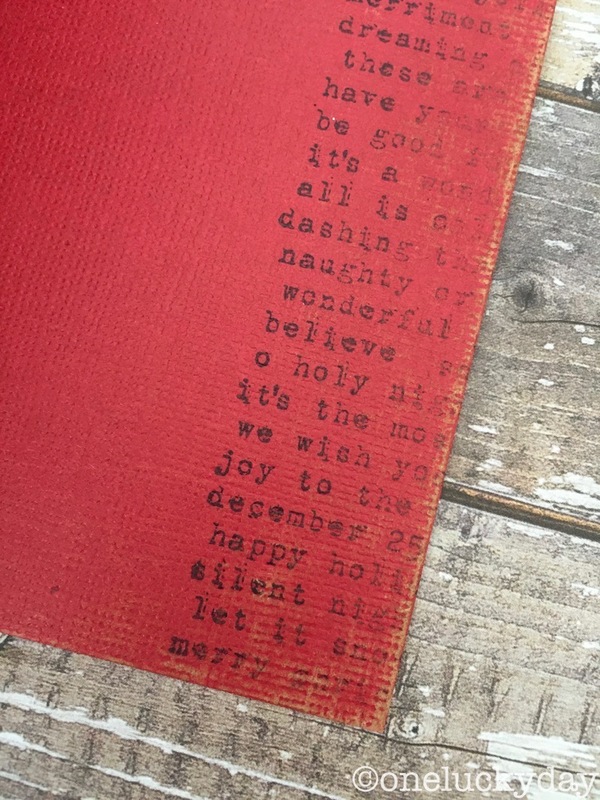 Mount on red cardstock. 9. 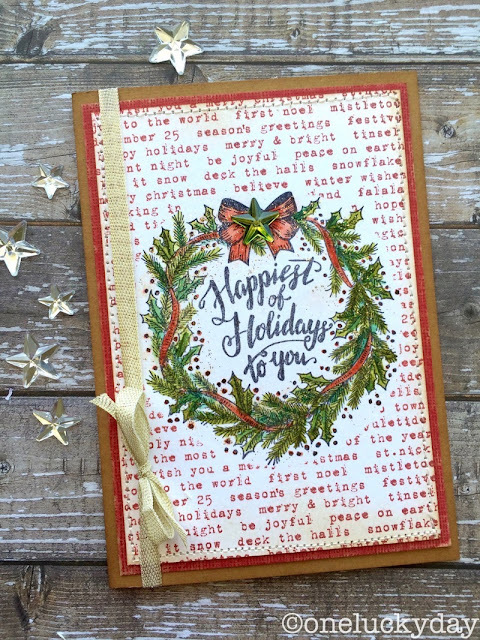 Add Alcohol Ink Meadow to a Mirrored Star and adhere to card front with Glossy Accents. 10. Wrap idea-ology Trimmings metallic ribbon around card front and tie a bow. NOTE: I also used the Holiday Type stamp to add a bit of detail on the inside of the card. This is one of my favorite cards I've made lately. 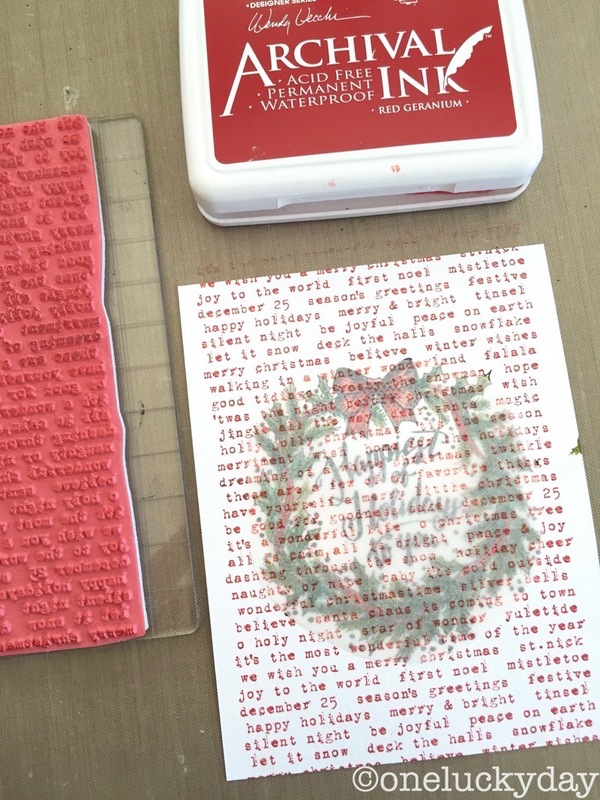 I love these two stamp sets...perfect for all kinds of holiday cards and tags! Thank you for the tutorial! Now I have to go shopping. I so need those words! 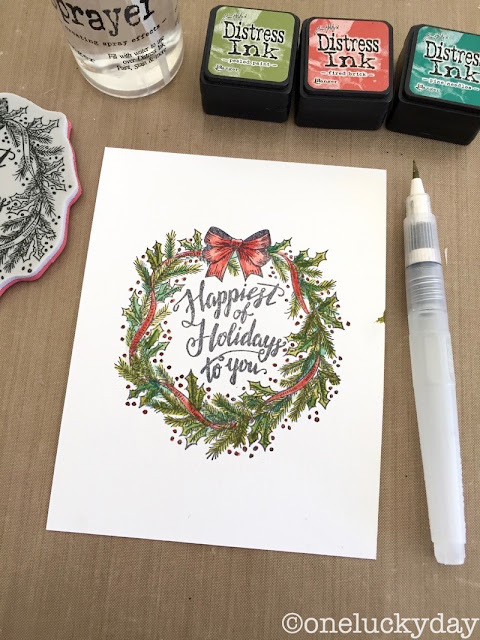 LOVE how you layered them over the gorgeous wreath! LOVE!